Hello dear friends! It's a gorgeous day today and I hope you are all well! 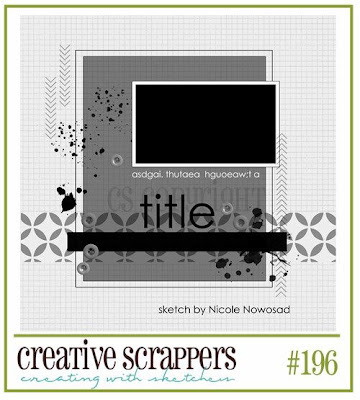 Today I have a layout to share that I created using a Creative Scrappers sketch. Kristine, the owner of Creative Scrappers, has a fabulous book of sketches out that is available as an eBook or a print version. Click HERE to purchase your copy! 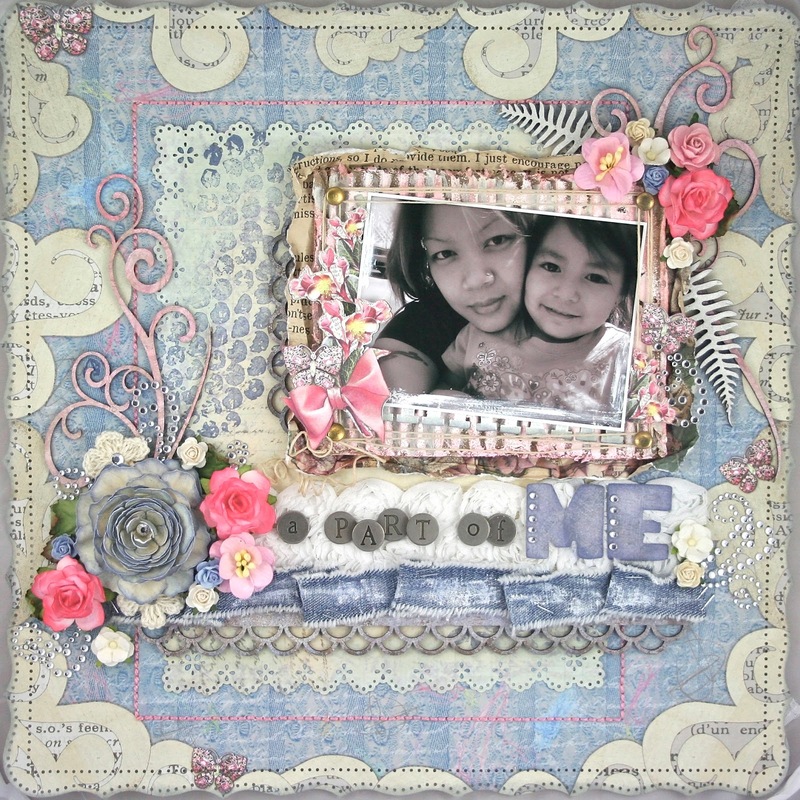 I used Donna Salazar's NEW Storybook Collection for this layout. Aren't these papers gorgeous?! The large flower was made using Donna Salazar's Rose Creations dies. The edges were inked with Denim Mix'd Media Inx and then spritzed with water to blend the ink. You can find the tutorial for this flower HERE. 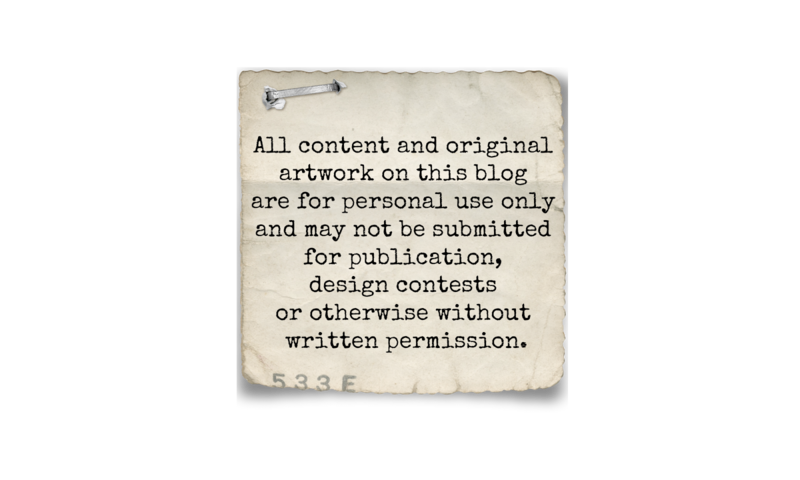 The chipboard border (Fancy Trim #2 DA0446) is manufactured by The Dusty Attic. The denim strip was stolen from Donna Salazar's studio. LOL! The Double Rose ribbon behind the title is manufactured by Want2Scrap. I used Donna's Alphas Spellbinders dies to cut out the 'ME'. I added a little bling to accent the letters. These pretty images were cut from papers from the Storybook Collection. The bubble wrap was stamped with one of Donna Salazar's new stamps by Art Gone Wild. She has released many new stamps, some of which are background stamps... my fave!! Behind the photo I have a layer of corrugated board that was inked with several colors of Mix'd Media Inx and on top of that I used Mix'd Media Inx embossing powder to add texture. Behind the corrugated board is a distressed layer torn from The Crafty Chronicle. The corners of the corrugated board are decorated with Zutter Rivets. I wrapped hemp cord around the rivets to create a frame. I just LOVE the scribbles on this paper! That's probably why it's called 'Scribbles' LOL! The edges of my layout were punched with Martha Stewart's Cherish punch... one of my faves. I stitched a rectangular border using matching floss to add some details to my layout. Just to soft and beautiful! Beautiful Natasha... love how you cut out the flower bunch... great piece of denim too! This is gorgeous! So many beautiful details! Thank you for sharing another beautiful layout with us! It's really amazing how many details you make and the layout never looks too busy...gorgeous!!! I wish you and your family beautiful week too! Wow--all the details on great. What a great photo! Love all the embellies! This is truly a layout to be treasure for years to come. Beautiful work, love the color palette as well. Love all the details. So very pretty. so so gorgeous sweetie and that photo is amazing! Natasha, your layout is beautiful. 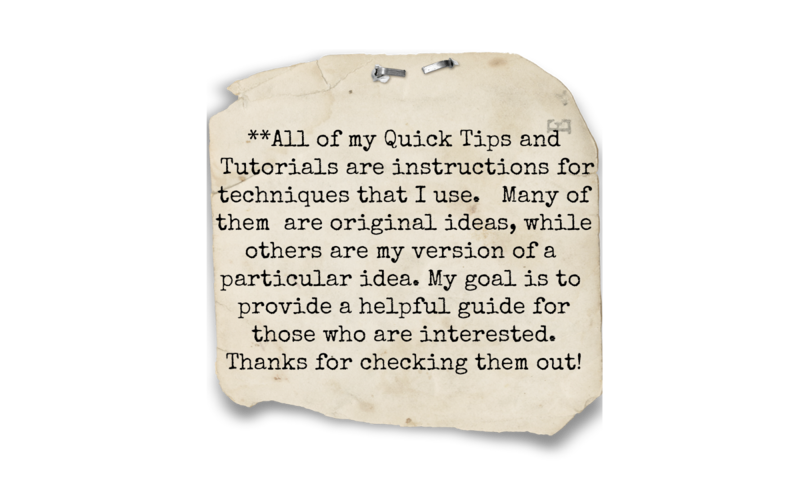 I am always looking to you for new features that i can try out. Thank you for sharing for floral eye with the scrapbooking world. Beautiful page Natasha! Love the color palette and of course all your amazing details. I really love the Rose Creations rose...it always adds such a special touch. Natasha, you are like an artist painter with all the detail on the canvas...... beautiful work.